We changed our minds! Kids races now available for online registration! There is a small fee (£1.50) to register online, the other £10 all goes to our local charities! Once you have registered online your race number will be available for collection 6-9pm on the Friday evening before the race and on 9-12am race day morning. Both from Harrold Lower School. If you can please register in advance online, its saves us a lot of time and last minute work. 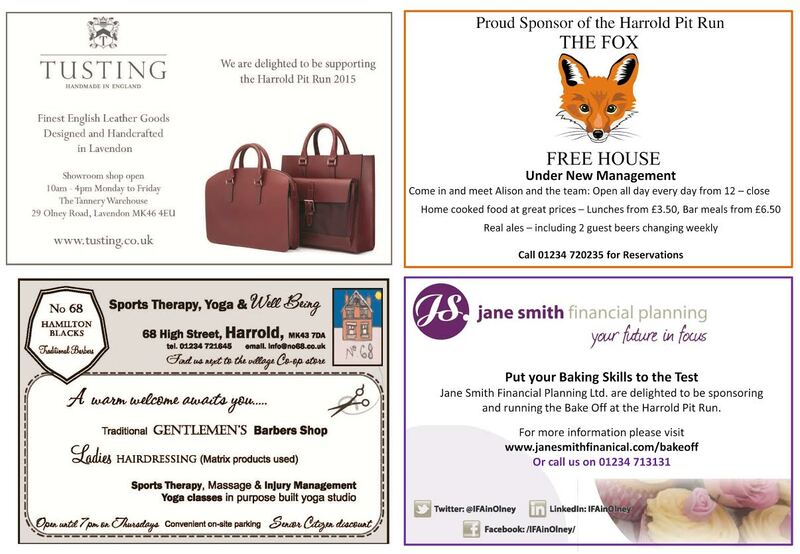 Here’s our Initial leaflet and our lovely sponsors! 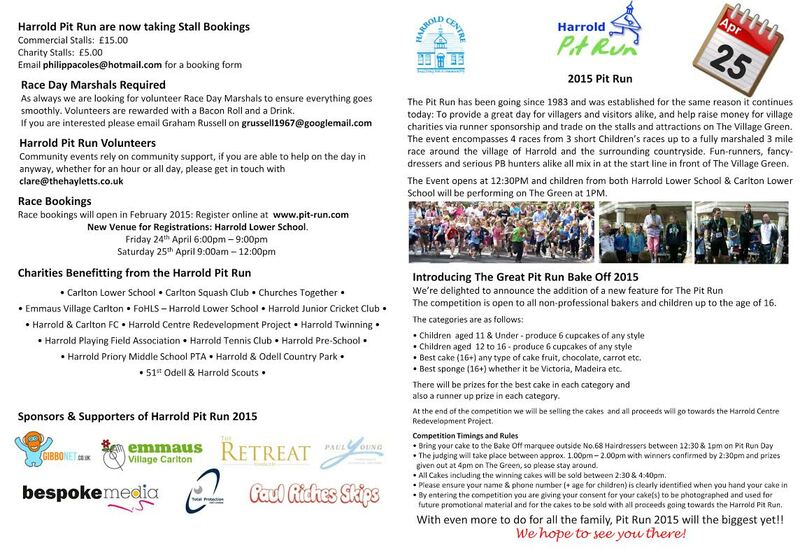 New Harrold Pit Run website now LIVE!! !